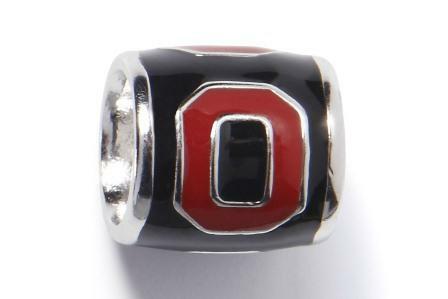 Wear your Ohio State University beads on hoop earrings, necklaces, or build your own bracelet. Our beads fit most of the Pandora-style bracelets and each set of beads can be worn individually or in combinations. Striking in color and stylishly designed in sterling silver and enamel with a rhodium finish to prevent tarnishing.